SOUTHFIELD, Mich.—Federal-Mogul Holdings Corp.'s Powertrain division has completed its acquisition of TRW's Engine Components business by purchasing TRW's ownership shares in two engine components joint ventures. The acquired business is headquartered in Barsinghausen, Germany, and employs nearly 4,000 globally. 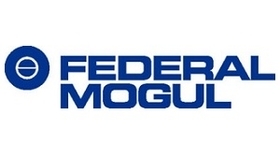 Federal-Mogul's Powertrain division is a leading provider of powertrain components, designing and manufacturing products for automotive, heavy-duty, industrial and marine applications.